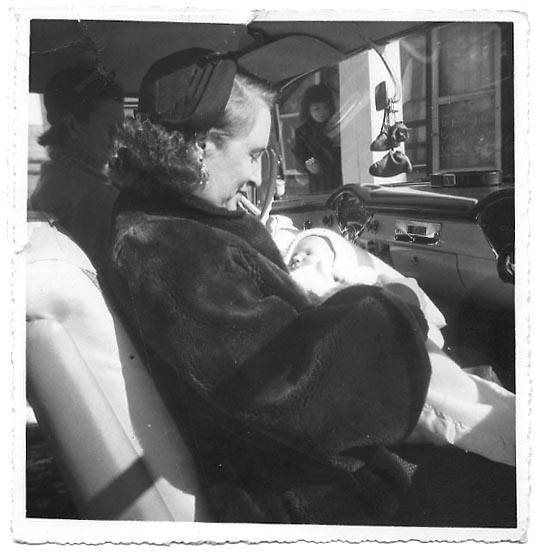 This photo shows Margaret Allen Cook in the front seat of a car during a visit to family friends in the early 1950's. The baby was identified by Mom as being Debbie Tarbox. I believe Dad first met Shorty Tarbox in a CCC camp, and we visited them often when I was young. This is a nice view of our Mother dressed up!